Being the word-lover that I am, I started answering my questions at Dictionary.com. Was I just throwing a word around flippantly? I’ve used it before to describe my obsession with productivity, but I was probably being dramatic. I do panic a bit when I don’t feel productive, but not to the point of “severe trauma”. But there is one thing I have been doing lately that creates a high much more powerful than even my beloved productivity. Something that really would cause severe trauma if I were to quit. I’ve been transforming my life with Jesus. This life transformation I’m addicted (yes, I feel confident that is the correct word) to has been fueled by living out truth. For real. No more going through the motions. More than anything else, this requires all-consuming love. In the Gospels, Jesus adds another piece to it – mind. Experiencing authentic, all-consuming love through and with Jesus is better than any drug, any drink, any smoke, any shopping spree, and any adrenaline rush. And I am a true addict clawing at it, scrambling to stay high. Terrified I will never feel this awesome again. I don’t know why I’m so frantic, other than I’m human. I’ve seen every other quick fix fade away. Everything of this earth is temporary and can be taken away in an instant. We know this about drugs; we’ve seen it in bankruptcies and failed business ventures; we’ve watched formerly happy marriages dissolve into divorce; we’ve experienced death ripping loved ones from our lives too soon. So I guess my human self is looking to the only experiences I’ve known, which results in turning a blissful experience of love into a fear of losing it. But is this rational? There have been no signs that He will leave me. Why not? Because He is not of this world, and so He doesn’t fit the pattern. The only way I could lose this love-high is if I choose to walk away. So that must be what I’m really afraid of. Not that He will leave me, but that I will leave Him. That’s another pattern completely, but one I also know all too well. I’ve been lost before. Tempted away. Deceived by others. What if it happens again? So I’m left with the question of how to protect myself from walking away. And that is something my structured, productive self can get on board with! The blessed How-To List! And just like that – reminding myself of my strength (even if it’s writing a nerdy How-To List) – the tables start to turn from fear to hope. How to Avoid Walking Away From the Only Addiction You Were Built For! Ask Him to help me. I can never again jump into fix-it mode by myself. These things are beyond my control and power and can only be done effectively with His help. So I start on my knees in prayer. Jesus, please keep me close to You. This is where I belong. This is where I feel alive. I am weak without your strength, and the world is big and scary. Please shield my heart and pull me back when I start to stray. Connect to His Word. I have to go back to those verses about loving God with all my heart, soul, mind, and strength. Reading it and saying “Yep, sounds good!” is not enough. It has to be internalized, and that means I have to understand it. I find understanding by searching my experiences for a real event to connect to. We were made in His image, so there are examples of Him everywhere. In this case, falling in love comes to mind. Remember what that was like? Heart pounding. Goofy smile that can’t be helped. Impossible to concentrate on anything else. Constantly hoping for that next encounter. Falling in love is all-consuming. So much so that your family and friends think you’re crazy, and you just don’t care. You’d rather chase that intense feeling than do anything else on this planet. So I can’t tell myself that I don’t know how to love God with all my heart, soul, mind, and strength. I get it. I know exactly what He’s talking about. I know exactly what He wants. I know exactly what I’m craving. Apply action to internalized knowledge. “Getting it” does me no good without “living it.” And trust me, something this powerful is worth the effort. This is why we were hardwired with addiction in the first place. We humans get all confused and point it toward the wrong things. 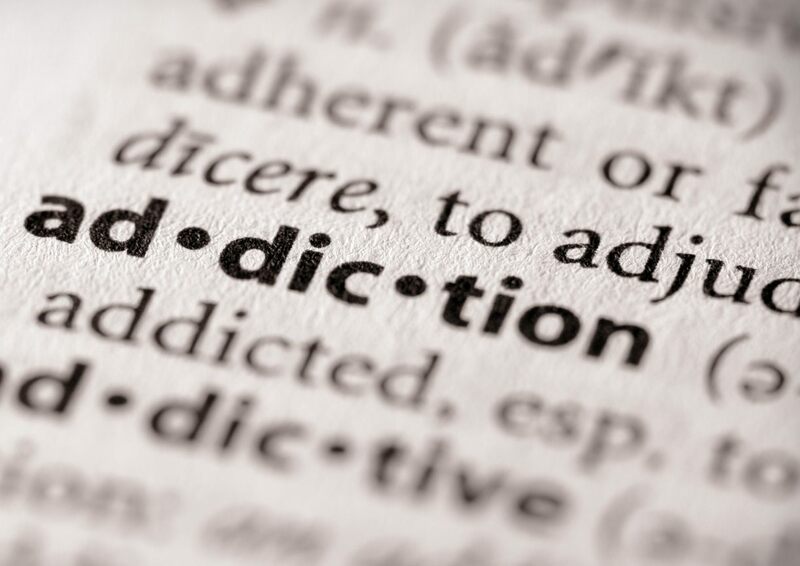 But when you get on your right path and point something as powerful as addiction toward God? You get crazy, audacious, sparks flying, miracles exploding, intense love. So that is my action – pointing my built-in addiction tendency toward Him. My Dealer is always available, ready to freely give me more love. I can get it anytime through prayer, meditation, the Bible, my church, nature, books, family, friends, and online Christian communities. So I actively fill my day up first with those activities, and it keeps me flying high all day. What does this do for me? Why do I keep coming back for more? Let’s again compare it to what we’ve seen in the world. Pain and suffering happens. To everyone. People attempt to numb the pain with their addiction of choice. Some choose worldly addictions. Drugs. Alcohol. Cigarettes. Food. Gambling. Shopping. Etc., etc., etc. When you see people on these highs, they don’t seem to care about anything else. Nothing gets done. They have lost touch with reality. Their high is based on need, and it only spirals inward and downward, leading to loneliness. Not to mention hopelessness, weakness, and despair. I’m choosing a heavenly addiction. LOVE. When you see me on this high, I also don’t seem to care about anything else – but in a different way. I’ve traded worry for trust. Things still get done (like work, courtesy of my other addiction – productivity), but they are no longer life or death matters for me. Only He means life, and that’s what I choose. This high is based on want, and it only spirals outward and upward, leading to community. Beyond that are the added bonuses of miracles, strength, and power. Beth Moore talks about this concept of going beyond need to want in her book, Audacious (which I highly recommend). And that’s the difference with truly falling in love, isn’t it? I needed a companion in life. But the magic happened when I wanted to be with my husband. When you get two people who equally want to be together, that’s when you start talking about things like “soul mates.” About forever. I knew I needed God. But when I started wanting Him? That’s when my soul fused to Him. Because He wants me too. Forever. So I can stop frantically scrambling, worried about losing this high. It is always within my grasp. Anytime I feel a fear of losing it creep in, I can ask Him to help me, connect to His Word, and apply action. God didn’t give us addiction to trick us into sin. He gave it to us to crave Him like He craves us. So that we would want Him. And He loves us so much, he gave us the right to freely choose. Choose to trade in your worldly addiction for a heavenly one. Choose to point this gift in His direction. Choose to indulge in the most powerful high you will ever experience, guilt free! Choose the kind of love that is all-consuming of your heart, your soul, your mind, and your strength. Love your passion for Jesus, my friend! Thank you for being bold and sharing it!